ProSolve Consulting Ltd.Operations Management - ProSolve Consulting Ltd. Manage your operations for greater productivity, improved efficiency and real financial value. Effectively plan, schedule, use, control and improve your organization and its activities to transform inputs into finished products and services. Evaluate your business operation, its performance, and your management system. See how a rapid assessment can save you at least $50,000 per year and increase your productivity at the same time. Gap Analysis Find out your position relative to best practices and recognized management system requirements. Internal Audit Measure conformance to your operating and management system requirements. Supplier Audit Check that your suppliers will meet contract order or product and quality management system requirements. Pre-Registration Audit Make sure that your management system will comply with ISO Standards for registration by a third party certification body. Rapid Assessment Examine the operation of your business within two weeks to find valuable opportunities for improvement greater than $50,000 per year. Our workshops provide each person the opportunity to interact and engage with the instructor and the subject. Participants can apply what they learn from our workshops when they return to their jobs and workplace. Learn what quality really means, why it is essential, and how quality happens, using The Quality Ladder®. Understand and apply the requirements of an ISO Standard for your industry or business operation. This workshop takes a hands-on approach to training your staff as internal auditors, empowering them to identify improvements and reduce errors. This training provides a clear picture of the requirements for Management System documentation. Your operation depends on employees working to achieve a common goal. Find out how to engage people to build and manage better teams. Find out how to avoid common pitfalls when developing and implementing management systems to achieve long-term, positive results using industry leading best practices. This workshop provides a roadmap to excellence and a vision of what your organization will look like when strategic quality has been applied. Looking for something else? 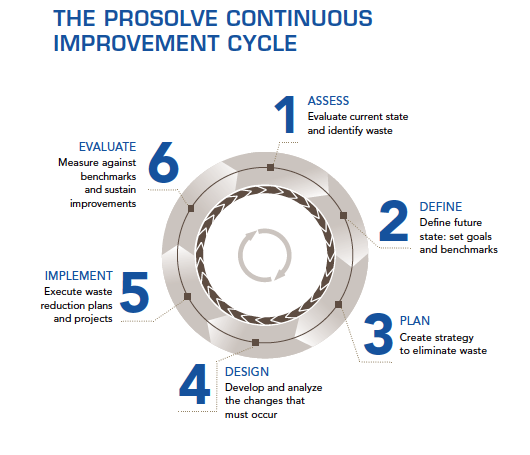 ProSolve will work with you to develop training to suit your organization’s needs. A Management System defines how you manage and operate your business and its processes to deliver products and services that satisfy customers. ProSolve can help you meet the requirements for effective Management Systems as specified in standards developed by the International Organization for Standardization (ISO). ProSolve will work with you to ensure successful registration or certification of your Management System on your first formal audit. You can meet the requirements for effective Management Systems as specified in standards developed by the International Organization for Standardization (ISO). Have your business assessed for potential improvements. Every company can streamline operations and save money. Our team will help you find areas for performance improvement you may not see yourself.